Credit to Samsung: it got Android updates right this year! It is no secret that most Android smartphones out there are known for being a tad late to catch up when a new OS build is released by Google. It’s gone to a point where it’s now a meme — “Hey, Google just announced Android 9, which means I’ll be getting it on my phone in a couple of years!”. Many big name brands have been criticized for this, with Samsung being among them. The reason behind the update lags is complex — Samsung’s user interface is a heavy reskin of the Android operating system, so remaking it for a new build isn’t a one day task (although Project Treble supposedly made that much easier); also, there are a ton of regional variants, carrier-locked issues, and even models with different processors that need their own build for the update. And, of course, there’s the running sentiment in the smartphone community that manufacturers just don’t feel like “wasting” too many resources on post-sale support and development. Well, it depends on how you look at it. Consider this — our benchmark for “timely updates” are Apple’s iPhones and Google’s Pixel phones. A new iPhone is usually announced alongside a new build for iOS. Once that Apple keynote is done, that version of iOS becomes immediately available for you to download (if you have an eligible device). You don’t need the new iPhone to experience the new iOS (aside from a few exclusive features, possibly) — you are on even grounds with customers who decide to go in the Apple Store and buy the new model. It’s similar on Google’s side — a new Android build is released either in August or early September, then the new Pixel phones come in October with that Android version on board. 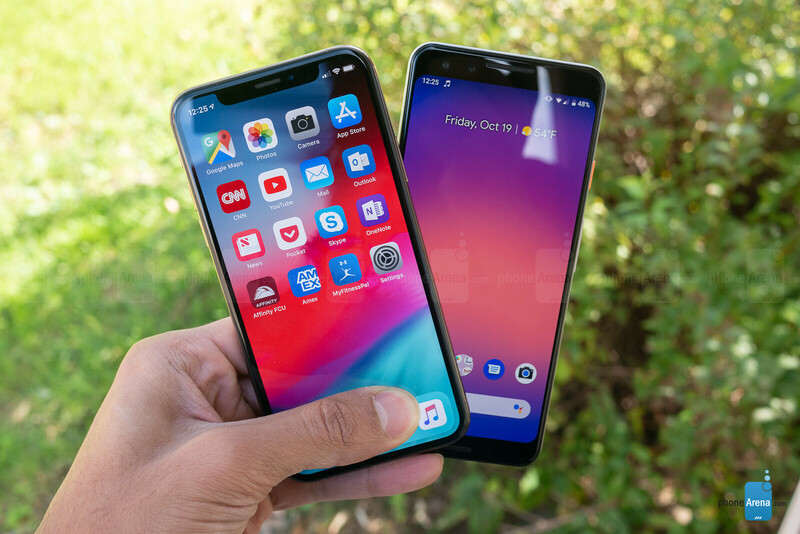 Owners of the older Pixel phones can already experience the new UI on their devices, they don’t feel like they are missing out by not getting the newer model (again, there may be an exclusive feature or two there). So, if that’s our benchmark, let’s see how Samsung did — Android 9 Pie with the new One UI reskin began appearing on carrier-locked Galaxy S9 and Note 9 phones right at the end of January. 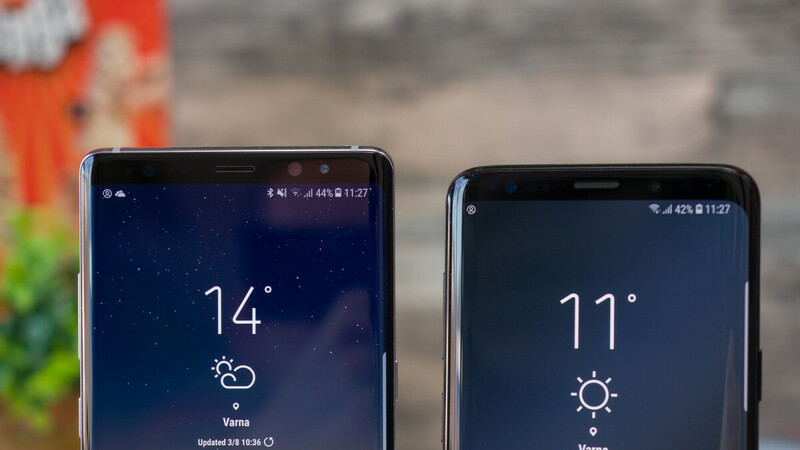 The Galaxy S8 and Note 8 also started getting it in late March. Granted, it has been a slow crawl before all variants on all carriers get it. Unlocked Samsung Galaxy S9 starts receiving Android 9 Pie update in the U.S. Here's the big picture: the Galaxy S10 was released in early March. Yet, at that time, users of the 1-year-old or even 2-year-old Galaxy devices were already able to install and experience Android 9 Pie with One UI on their phones. And, let me emphasize One UI — you don’t just get a lazy update to your old skin, you get an update to the latest concept. Samsung made it a point to bring its newest software experience to its users, even if they are rocking 2-year-old phones. So, if we are to compare this to our benchmark, which has been set by Apple and Google, Samsung actually did a pretty good job! Now, yes, owners of the unlocked Galaxy S8 and Note 8 in the States and you may even be among the few unlucky ones that are still waiting (any moment now, folks!). This is still not ideal and I would hope to see Samsung do just a bit better next time. Now that the flagships are done, Samsung will be pushing One UI to its midrange Galaxy A series and even some of the entry-level Galaxy J phones, which is pretty awesome. Considering we’ve been poking fun at Samsung and its update cycles for some years now, I believe the current effort deserves a slow clap. Credit given where credit is due — good job, Samsung, more of that, please! It would certainly make it easier for customers to justify the purchase of a $1000 Galaxy S10+. Yeah, I think Samsung has sped up the updating process by about 1-2 months which is better than nothing but more could be done. Previously, 2 year old Samsung flagships would get their updates in June in Canada, My S8 received Pie a few days ago in April. Which is a good improvement in terms of 2 year old flagships. This article is a joke. My Tmo Note 8 is still waiting for Official Pie and its April! Meanwhile I'm already sporting Android Q DP2 on my Pixel 3 XL. Since when is it acceptable to wait 8-9 months for an OS update and consider this "doing things right" ??? After owning every Note device Samsung has produced, I have moved on with my life. I don't want locked down devices that take that long to update to latest OS features. It's pathetic and an insult to intelligent people world-wide to claim Samsung's record of updates a "success". IMHO, this is a complete failure and the reason why the Pixel 3XL saw a 33% increase in sale over previous year's model. A success would be 1or 2 months for a flagship phone. That's a carrier problem, they're usually 4+ months late to release updates when compared to the international version. What a joke to claim a "Carrier Problem" when the unlocked international version of the Note 8 Got Pie yesterday 4/8/2019 (way after every other carrier in the US , even TMo, had their update). When its being held up by the carrier, and it's a rewrite of the core OS down to the framework. The Samsung versions have features vanilla doesn't. It's going to take time. It so happens that the last version of the Note 8 that received Pie was the....drum roll please......The International and unlocked version! The got it yesterday 4/8/2019 (Behind every other carrier in the US). I never mind if getting my Samsung phones updated later than the rest, because the vast majority of the time, they're bug free and doesn't need more patches to get things fixed. The same goes with my experience with Huawei phones, there updates never brought glitches that wasn't there to my phone. Exactly this, sure Samsung takes time to release to update it, but when they do Users rarely have bugs. Whereas a certain company pushes their latest update to their older models the same day as their new model and a week or 2 later they have a patch because of a bug on the previous models. Also, with Samsung updates they aren't just giving you updated Android, it's a full blown update of their own UI which often has features not available on Vanilla Android until the next year's iteration. I'm usually fine with Samsung slow update (not that I like it though, lol) coz Samsung usually gets all the features ahead of Android itself anyway. Right now I want One UI mostly for the navigation gesture, but some third party apps have been giving that option and they do a fantastic job at it, better than Google's gestures to my taste. 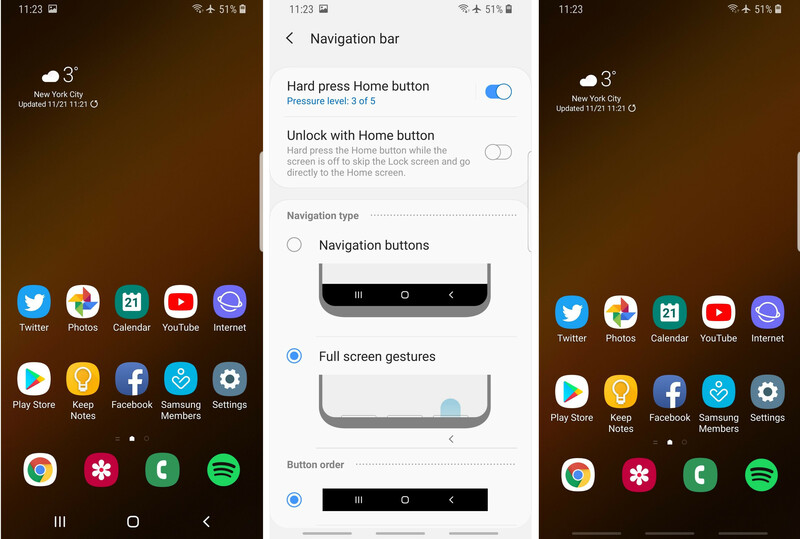 That's true, I didn't find myself comfortable using Samsung OneUI's new navigation gestures, so I immediately installed Fluid Navigation app and enabled all it's features using ADB when I got my S10+, and I will most likely do the same when I get my P30 Pro next week. I found the gesture lines to short, instead I use good locks one handed operation and you can configure numerous directional edge swipes as your gestures. Google releases beta versions of Android in March-April so Samsung and other oems have at least 4-5 months to build their UIs, drivers and so on; they can spend no more than 1 month to test everything with the final version and release their updates in September. Samsung - being the biggest Android oem- has no excuse for not agreeing an update timeline with google. That's not how it works. Samsung isn't just shining Android, they're re-doing it. They add features, change the framework. Android is based on Linux. But you don't get an immediate update to Android when a new version of Linux drops. Samsung is doing just fine with updates. Even with older versions, they're more advanced than newer devices. And, as stated above, they release pretty much bug free which is something neither the iPhone nor Pixel can often claim. Samsung is not re-doing anything, it just takes the Android source code and changes/updates it with its own framework (basically changes the drivers with its own, adds some system functionalities and integrates its own UI). The framework is pretty much the same and most of the work is in changing some code in the APIs. Linux is - and has been for as long as I can remember (the first time I have used it was 20+ years ago, 12 y ago I used it as a Sys Admin) - designed modular: there's the kernel - that can be compiled and updated the same day it is released by Linux Foundation; the system software and libraries (for instance Google Play Services - I hope I got the name right); the GUI (One UI for Samsung, gnome/KDE for Linux). In Linux - any distribution - every single module can be updated separately. I fear that Google bundles all 3 parts, but the source code - if we're talking about Linux - is the same as any other distribution, so either Google or OEMs make it difficult for the phones to be updated (or they simply don't wanna). "Fine" - in Linux world - is updating the kernel the same day, updating system software and libraries independent of the kernel and updating the UI whenever the OEM wants, so Samsung is far from doing fine. Bug free?? ?....When my 7 Edge was upgraded to Oreo it became practically unusable. I had to sell it. Battery life hit abysmal levels and it froze constantly. Same thing happened on my Tmo Note 8 when recently updated to Pie. Just look on the XDA forums and you will see not one but hundreds of people complaining of the same thing. On the other hand, 3 year-old Pixel phones are running Pie without much problem and are as smooth as day 1. Your personal preference is a different story, we're not talking about that, we're talking about technical possibilities. If Android is like Linux, Samsung can simply update the kernel and you would have the latest version the very second Google released it. You are missing his point. Samsung releases many new features on top of stock Android. For example, the Android 8.0 and 9.0 use different UI frameworks (Samsung Experience vs OneUI) not to mention the numerous new features. Samsung cannot simply update the kernel and underlying OS without updating its experience. So for a user updating an OS version on Samsung, they are not only upgrading the Android version but also the Samsung software version as well. Same with Xiaomi and their MIUI, Huawei with EMUI, etc. With the difference that when you root a Pixel, you can change every single icon to the color and shape you want. See how that is going for the S10 community in the XDA forums! (Hint: Not too well). With root, you can add any feature you want, as you want it and you don't need "father Samsung" shoving crap down your throat that you will never use or have a need for. Even a website by a company can go through a testing stage longer than a month. Now you want them to build an entire UI and drivers and have it all tested within a month? Apple spends more time testing their stuff and they're not waiting on Google's changes to the OS. Not to mention the carriers have to then receive the update and test it on their end. Add in the fact that only ~21 of a 30 day month is a work day - you are on some strong ish if you think Samsung is pushing stuff out within a month. OEMs can test the heck out of Android from March to August, have another month to make sure everything works and release their version in September - that's 7 months (or 147 lazy people working days). How is that for time? What should the carriers test? They should be cut out (or put to test during those 7 months) just like Apple does. You're the only one here claiming it's "easy". Not to say you're dumb or anything, but it's interesting to think about. What is EVERYONE (or almost everyone) else here missing that you are seeing so clearly? The fact that Android is not as open as people on blogs claim it is and Google is the main one to blame for not having timely updates. What I say it is easy for every single Linux distribution - Linux being truly open source - but it's not for Android so that should make you wonder why. 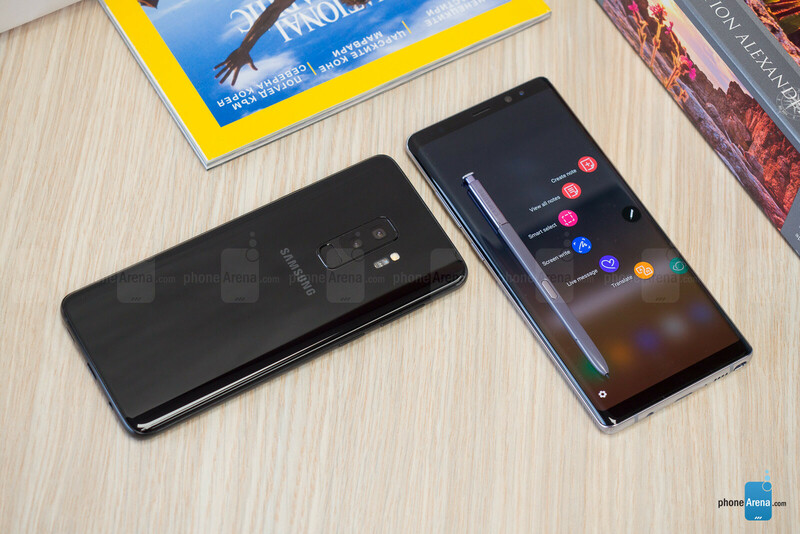 It’s good that atleast Samsung updated their flagship phone in march(the month in which their S series usually gets launched) but only S9 had beta testing and got the update first where as the S8, Note 8 and even the newer Note 9 got it later. How about updating all the flagship phones at once in all the regions. That's weird considering my nexus 6 and LG g3 are both running Android 8 without issue. Official or backyard homebrew roms?